After the success of the ESL events around Europe, ESL Mumbai will be the first Dota 2 event of such calibre to be held in India. While not part of the Dota Pro Circuit series, the prize pool is still an impressive US$300,000 with the lion’s share going to the winner. The event takes place from April 16-21 at the National Sports Club of India. Originally there were 12 teams invited but for various reasons (including clashes with other events) several dropped out leaving the tournament with just eight fighting for the prize. The initially-decided round-robin group format was duly replaced by a group elimination one. Every team will advance to the play-offs but the two best teams in each group will start in the winners’ bracket and the bottom two in each in the lower bracket. Natus Vincere – Recently overhauled their roster but the post-Dendi era is yet to deliver results. The team played at the DreamLeague Major last month where they finished in the bottom four. Despite that, Na’Vi showed some promise and took a game off EG. They were close to beating Chaos as well. 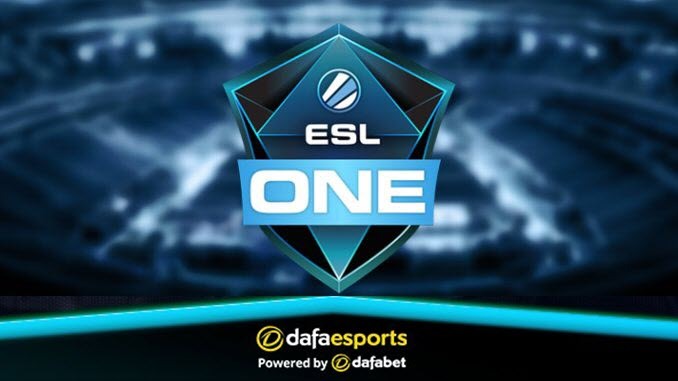 Did not manage to qualify for either MDL or the Dota Pit Minor and this tournament will be important for them in terms of prize money. However, they will be without their captain and leader, SoNNeikO, due to health reasons. That is a blow and will likely impact their performance. TNC Predator – Have established themselves as a top South East Asia team in recent years and their success has earned them more than $3million. TNC recently replaced their captain ninjaboogie with eyyou. Their appearance at the MDL Paris Qualifier was not successful and they lost at the hands of ninjaboogie’s Mineski. Nevertheless, the team have Gabbi and Armel, talented players with the ability to make individual plays that can make the difference. TNC finished 5-6th in the Kuala Lumpur Major in November which is their best ranking in an event of such calibre in the current season. Despite being forced to qualify, TNC can be singled out as favourites in the group. compLexity Gaming – Ayoung team with three new players who only joined in November. They are part of the North American region and arrive via direct invitation. Zfreek is one of the main figures in the team – he is one of the most stable performers in his position on the NA scene. cG missed the DreamLeague Major but managed to qualify for the MDL one. The team like late-game line-ups with Meracle being a Naga player. compLexity have trouble in the laning stage and reach their peak in the late game. TEAM TEAM – Another North American team, who have replaced the withdrawn J.Storm. The team are trying to stabilise their roster and EternaLEnVy recently bolstered their ranks. He has been struggling to find or build a team this season, with Flying Penguins being his previous stop. A player who divides the fan base, he is capable of pulling off great plays and is a self-sacrificial leader, but is also known for his blunders. Another new player is Gunnar, who followed Envy from Flying Penguins. TNC are favourites to win this group – the team have a history of success, boast a core of three players who have been winning together since 2018, and are used to being involved in competitions of the highest level. In contrast, most of their opponents are barely making it to Majors. Second spot seems there for the taking – Na’Vi and compLexity look to be the two teams who will fight for it, but TEAM TEAM have what it takes to surprise them.